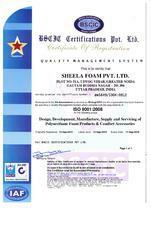 Established in the year 1972, Sheela Foam Limited an ISO 9001:2008 certified company is the pioneer in manufacturing, exporting & wholesaling of PU foam in India. 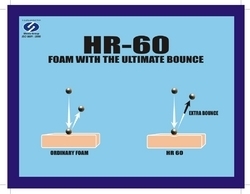 Consolidation on our rich industry experience and manufacturing excellence we have established ourselves as the top 5 manufacturers of slabstock PU foam in South East Asia with our presence in India as well as Australia. We offer prompt and effective export and supply capitalizing on our wide distribution network comprising of 70 distributors and 3000 dealers on a global platform. 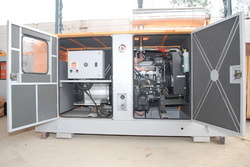 We have developed 10 manufacturing facilities in India and 5 manufacturing facilities in Australia. This combination of manufacturing excellence and wide distribution network enables us to serve our distant & diverse clients with fast, reliable and high quality supply and exports. 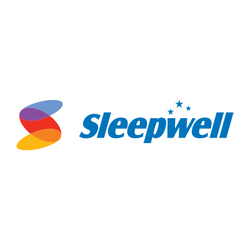 Widely renowned foam such as Sleepwell and Feather Foam brands are the leading and most trusted home comfort products offered by us. Under the able guidance of our mentor and MD Mr. Rahul Gautam, our organization has witnessed phenomenal success. His strong business acumen and foresightedness has played a very vital role in the growth of our organization. 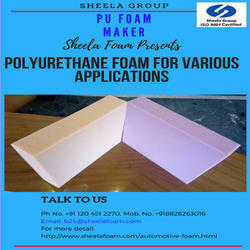 Manufacturing and Trading of PU foam products. We have developed a network of manufacturing facilities integrated with latest technology to strive for manufacturing excellence. Our manufacturing facilities are located in 12 cities in India and 5 major cities of Australia i.e. Adelaide, Brisbane, Melbourne, Perth and Sydney which enables us to service the Australian market effectively. These manufacturing facilities are well equipped with sophisticated machinery and latest technology to ensure optimum quality production. Our strategically located manufacturing units facilitate us to ensure reliable and effective supply and export of our range of forms on a global platform. Being a global exporter and supplier we have developed very strong warehousing capacity to ensure smooth and reliable exports and supply. 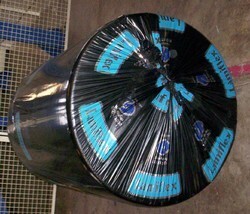 Timely delivery within the stipulated time frame is our main objective to ensure maximum client satisfaction. 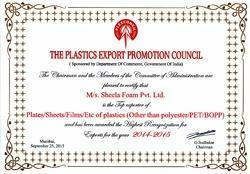 We, Sheela Foam Ltd. are proud to have an opportunity being the part of your business. We always lay stressed on quality and honesty in running the business that it will hopefully give mutual-gift in the business from now onwards and the years to come. 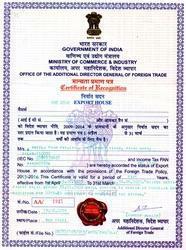 One Star Export House Certificate issued from DGFT. 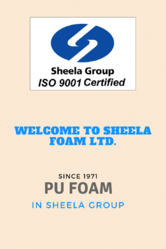 We, Sheela Foam Ltd. are the Largest Polyurethane Foam Manufacturer in Asia Pacific with footprints in India and Australia and also the largest manufacturer of mattresses in India under renowned brand name Sleep well. We are bulk manufacturer of PU Foam and make a variety of Technical Foams including - Memory Foam, Flame Retardant Foam, High Resilience Foam, Soft /Hard Foam, Reticulated Foam used in various applications. A combination of manufacturing excellence (12 units/ locations) and distribution network (over 100 distributors and 5000 dealers) has enabled us to get over 35% of the Indian and Australian PU Foam market share. Our In house R&D Lab. is well equipped to offer meet international specification and customized configurations. Sheela Foam Ltd. is the Largest Polyurethane Foam Manufacturer in Asia Pacific with footprints in India and Australia and also the largest manufacturer of mattresses in India under renowned brand name Sleepwell.